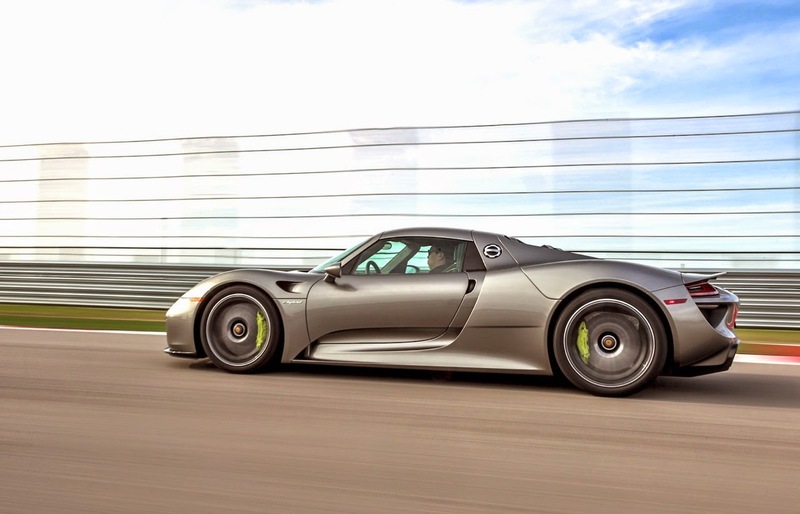 PORSCHE 918: ALONG CAME A SPYDER! 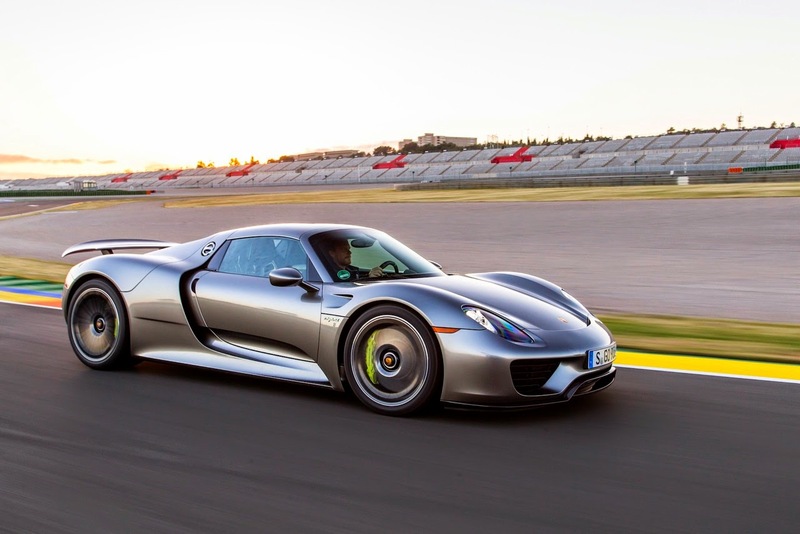 Porsche shakes-up the Supercar world with its missile-fast Hybrid 918 Spyder. 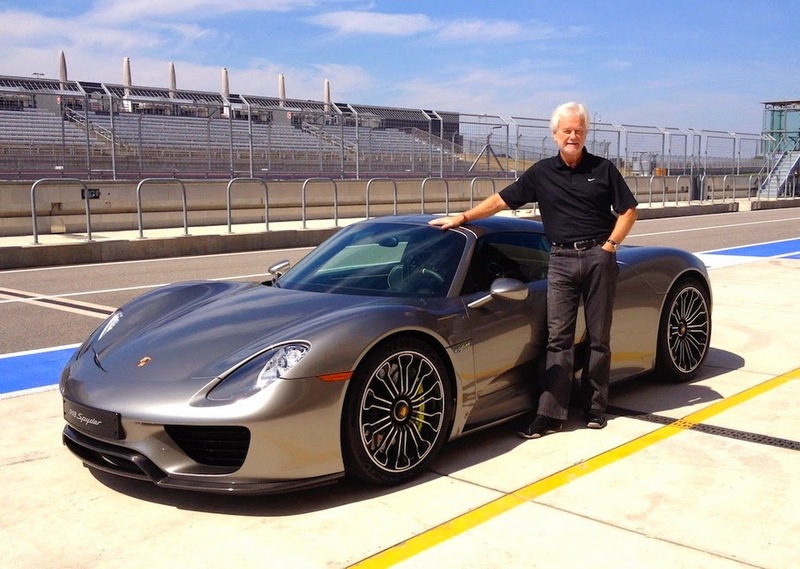 Road Test Editor Howard Walker takes it for a spin. Breathe. Take a gulp. Inhale. But easier said than done when your lungs feel like they’re being whiplashed into the back of your rib cage, your eyeballs are recoiling deep into your skull. the same as a Tupperware container! under 20. Flat out: 214 mph. 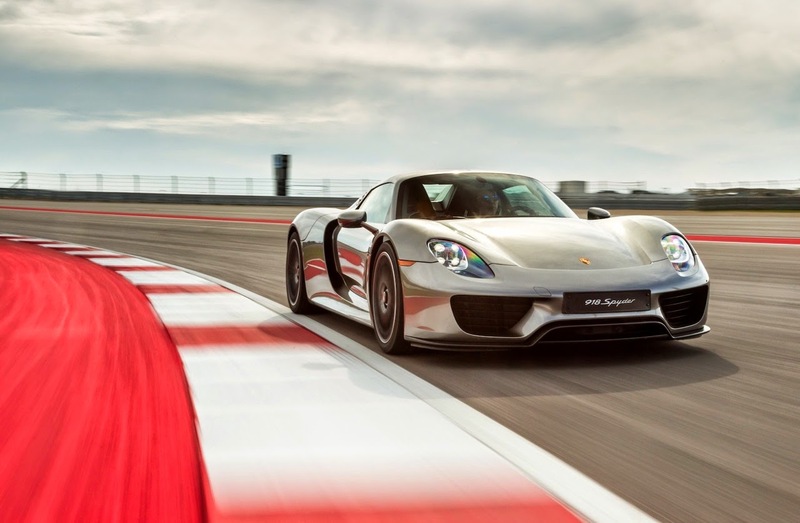 All mightily impressive, but even more impressive when you consider that the 918 Spyder is a gas-electric hybrid that can whirr silently on zero-emission pure electric power for around 25 miles at speeds up to 93mph, and average an Al Gore-approved 63 MPG! This is Porsche’s latest and greatest technical tour de force; a Germanic gauntlet thrown down to those other hybrid Hypercars of the moment, McLaren’s howling 903-hp P1 and Ferrari’s screaming 789-hp LaFerrari. Where the Porsche breaks new ground is with the sophistication and sheer brilliance of its technology. At its core is the featherweight, naturally aspirated V8 derived from the engine that powered Porsche’s vaulted RS Spyder endurance racer. Even without electric motors it cranks out a huge 608 horses from its 4.6 liters and is capable of revving to a mind-blowing 9,150 rpm. 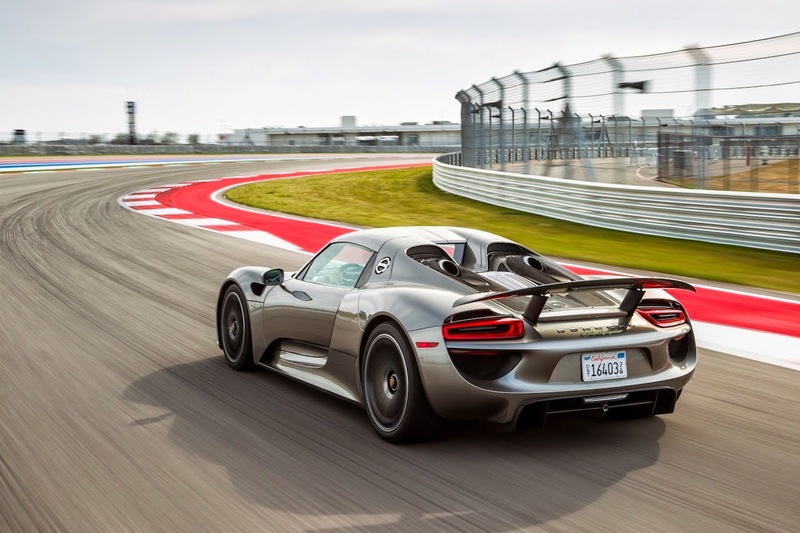 At both the front and rear axles there are electric motors that add another 285-hp to the party and allow the 918 to perform as an all-wheel driver. 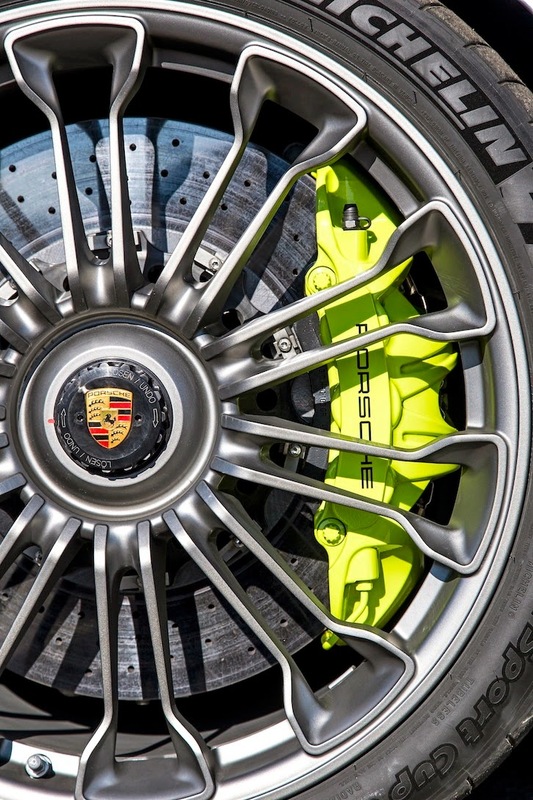 It’s this that helps the Porsche deliver its blistering off-the-line thrust – beating out both the McLaren and Ferrari – and endowing the car with otherworldly handling both on and off the track. To test out that latter bit, we’ve come to the super-fast 3.4-mile Circuit of the Americas racetrack on the outskirts of Austin, TX. Seeing the car for the first time, poised for action in pit lane, is enough to make a sports car lover weep. This is a thing of jaw-descending beauty; a visual roller coaster of supermodel curves, bulging fenders and tensed muscle. And some of the detailing is just exquisite. Like the twin exhausts that exit vertically just behind the cabin. 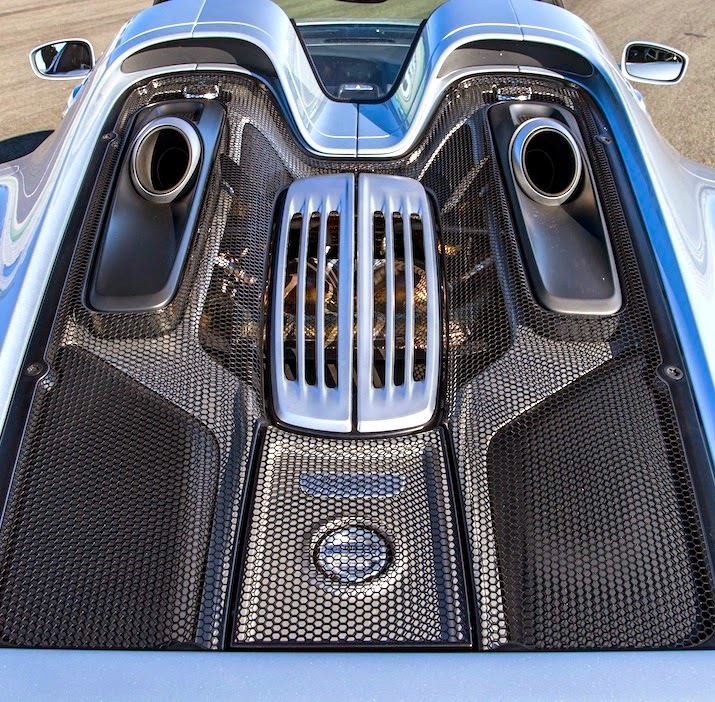 And the twin carbon-fiber roof panels that transform the 918 into an open-top roadster and stow, Russian Doll-style, in a small forward luggage hold. 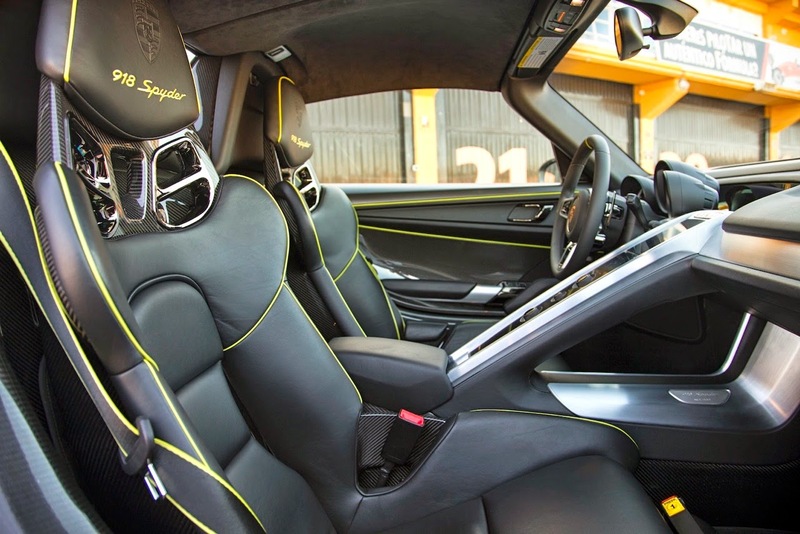 Climb aboard and settle into the tight-fitting, non-reclining driver’s seat. It’s a wonderful cabin, beautifully laid-out and superb in quality, fit and finish. 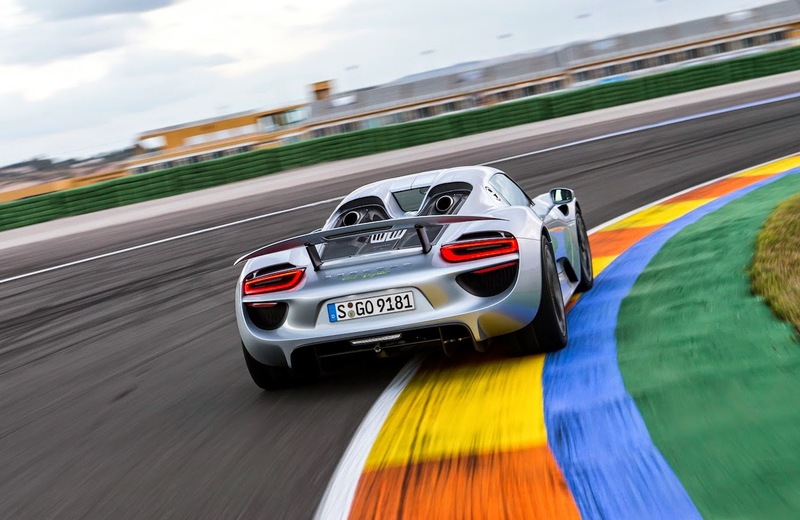 Out on the track, the 918 is a pure assault on the senses, with performance that is nothing less than mind-altering, and an ability to change direction that seems to defy physics. Just how potent? We play follow-the-leader with Porsche factory driver, Le Mans winner and all-round cool dude Patrick Long in a fire-breathing 520-horsepower Porsche 911 Turbo S.
Down the back straight, with 160+ on the speedo, the 911 seemed to be standing still compared to the 918. Through the curves, the Turbo was clearly at its tire-smoking ragged edge while the Spyder just cruised right behind. Amazing. Porsche will build just 918 examples of its 918 – already, over half have been sold – with a base sticker of $845,000 but with an options list that can easily bust the million dollar mark. Our car’s liquid metal silver paint? A cool $63,000! But what we have here is what I believe is simply the greatest sports car on the planet; a car that re-writes the sports car rulebook. A car that steals your breath.